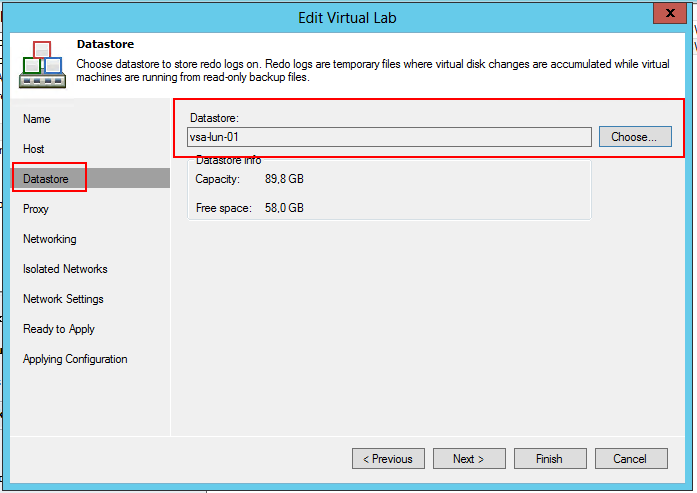 After months of eagerly waiting to post about new features in Veeam Backup & Replication v7, I can finally go ahead. If you read through my blog post you will notice that I love to talk about Surebackup as I think we take a very interesting approach on how we separate the isolated network and the production network. You will be able to test to Replica's at the other side and see if they work successfully. Again another checkbox that can be checked in your DR plan automatically. More interesting is the fact that you will be able to use to resource at the other side as a test environment. The great thing is that the storage at the other side will probably be a copy or has similar storage performance specifics so that your lab runs at the same speed as the VMs in production. It will also allow you to create bigger sandboxes. In which case you could even use replica's just to create lab environments (replicating maybe only once a month or manually to refresh the latest data). Not specifically for DR scenarios. 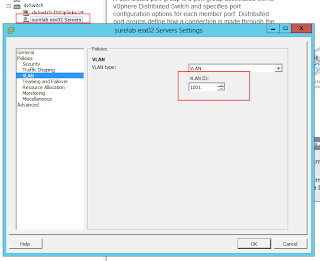 Now one of the tricky parts is that a dvSwitch has uplinks of course. 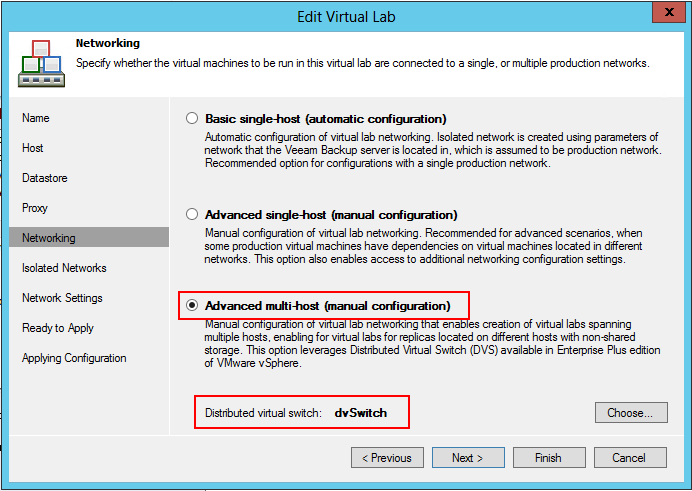 This is good so that the VM's on different host will be able to talk to eachother. 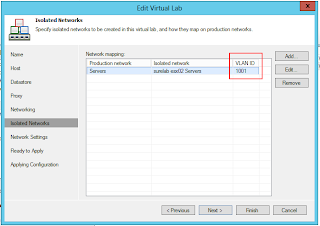 One tricky part, however is the vlan part now. 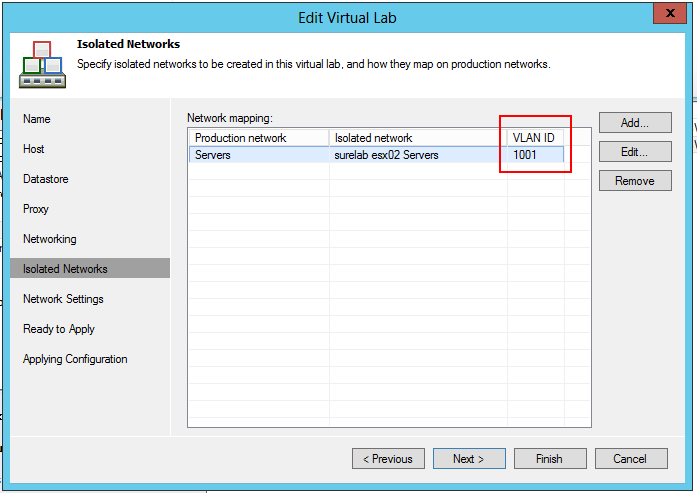 Make sure your physical switch knows this VLAN and are forwarding the packets from one ESXi host to another. Other then that, the setup is similar. 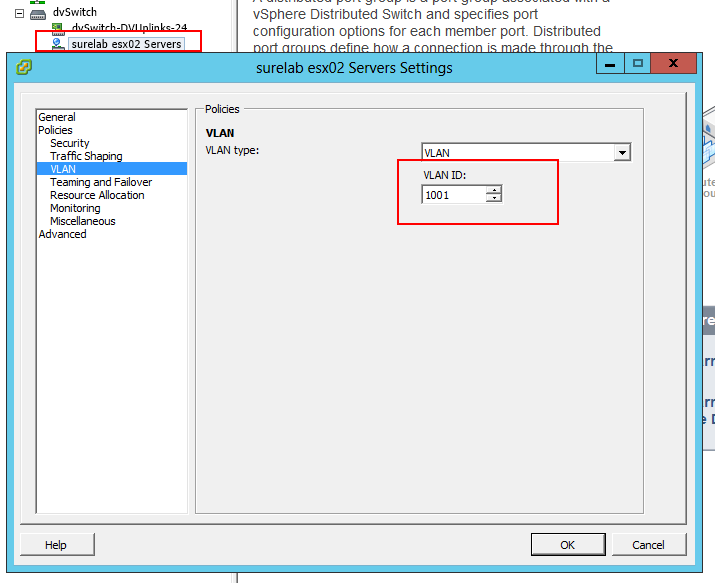 Portgroups will be created automatically on the dvSwitch with correct VLAN ID. So interesting question came in my mailbox this week. Can I use Multi host for surebackup as well. First thought was, yes of course you can. Then it hit me. 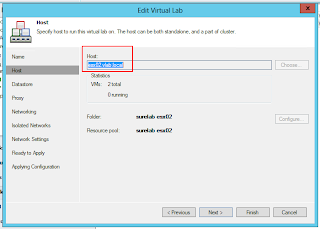 You can not select the cluster for a virtual lab. 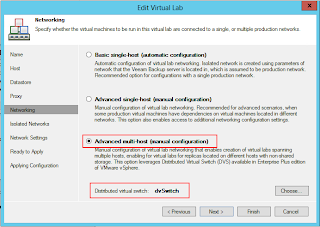 So although the network is multi host, instant VM recovery will always be done to one host. It's the host you selected during vlab creation. 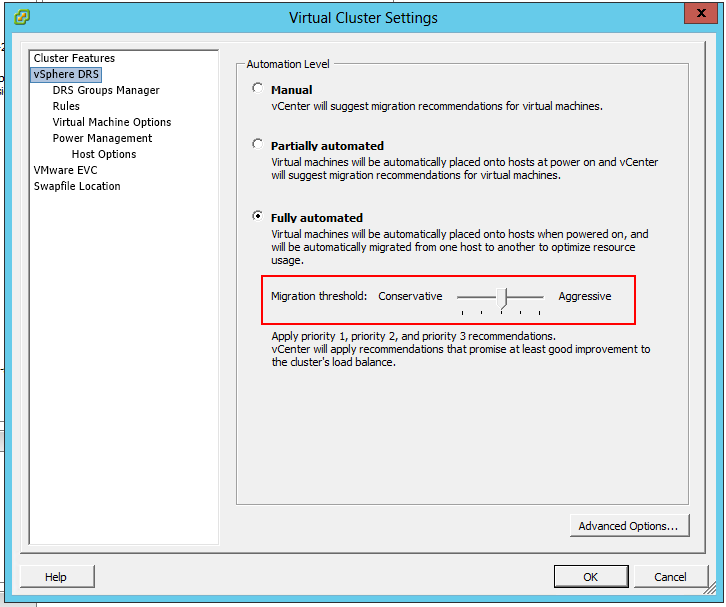 So I thought during testing, why not try to vMotion VMs as they are powered on. Well it turns out there are a few things you need to take into account. When you backup a VM make sure all cdrom and floppies are disconnected. This avoid having local "cdroms" connected. This is a best practice for VMware environments anyway. 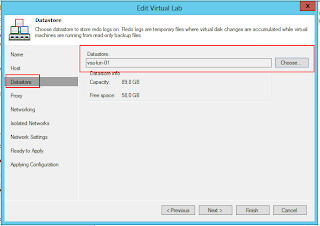 Make sure your I/O redirection datastore is a shared one and all your ESXi hosts have mounted it. 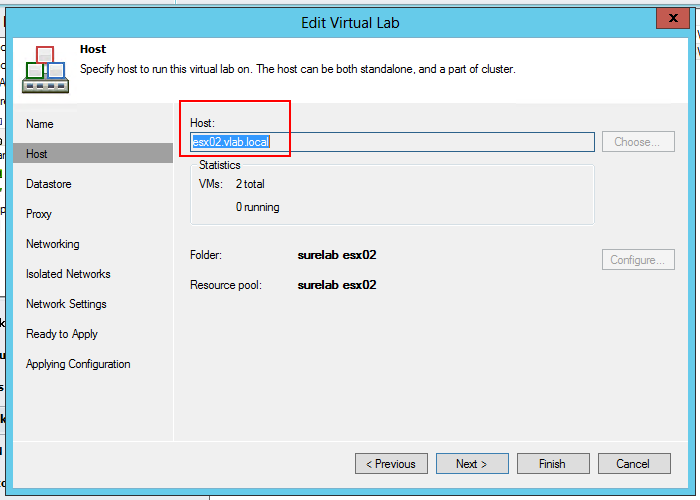 Then when you fire up your lab you should see this happen if the load is getting to high on your initial ESXi server. 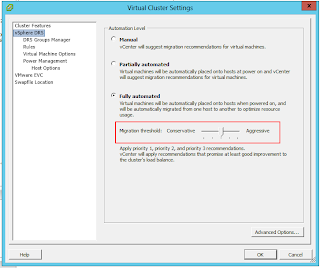 If it does not, just try a manual vMotion to check why the system is not able to do a vMotion.